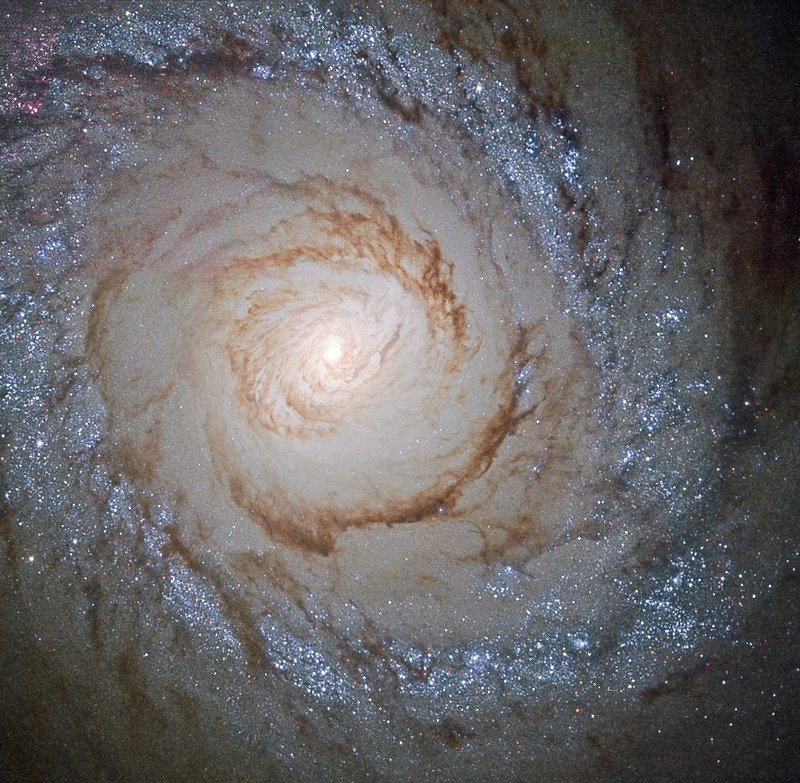 Beautiful island universe Messier 94 lies a mere 15 million light-years distant in the northern constellation of the hunting dogs, Canes Venatici. A popular target for earth-based astronomers, the face-on spiral galaxy is about 30,000 light-years across, with spiral arms sweeping through the outskirts of its broad disk. But this Hubble Space Telescope field of view spans about 7,000 light-years or so across M94’s central region. The sharp close-up examines the galaxy’s compact, bright nucleus and prominent inner dust lanes, surrounded by a remarkable bluish ring of young, massive stars. The massive stars in the ring are all likely less than 10 million years old, indicating the galaxy experienced a well-defined era of rapid star formation. As a result, while the small, bright nucleus is typical of the Seyfert class of active galaxies, M94 is also known as a starburst galaxy. Because M94 is relatively nearby, astronomers can explore in detail the reasons for the galaxy’s burst of star formation.